"I've spent a lot of time talking to scientists in the field talking about artificial intelligence, and they really disagree about whether it will be a boon for humanity," Brown said. "Will it solve problems like scarcity, pollution, over population? A.I. could have a very positive role. At the same time, it could have an ominous role. It is powerful and could get more powerful. Will this technology be used for harm?" Brown said that, starting book, he knew very little about artificial intelligence. He spent a year reading all about it and visiting the Barcelona Supercomputing Center. "The aspect of A.I. that I find most interesting is the idea of a synthetic consciousness," Brown said. "What happens if we create a machine that is self-aware? If you bring it up alone in the dark, will this computer start to come up with stories from where it came from, about who its creator is? If it does, can we learn philosophical answers?" In the book, he hopes to tie this musing to the thought that perhaps all beings, synthetic or organic, need to create a story about their creator. 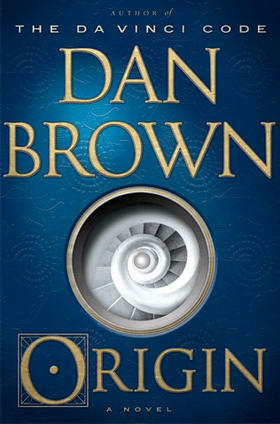 Bestselling author Dan Brown discusses his most recent novel, out Oct. 3, called "Origin" with St. Louis on the Air host Don Marsh.